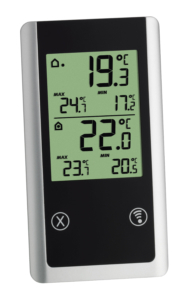 Always in the know with the temperature – with the WAVE wireless thermometer from TFA. 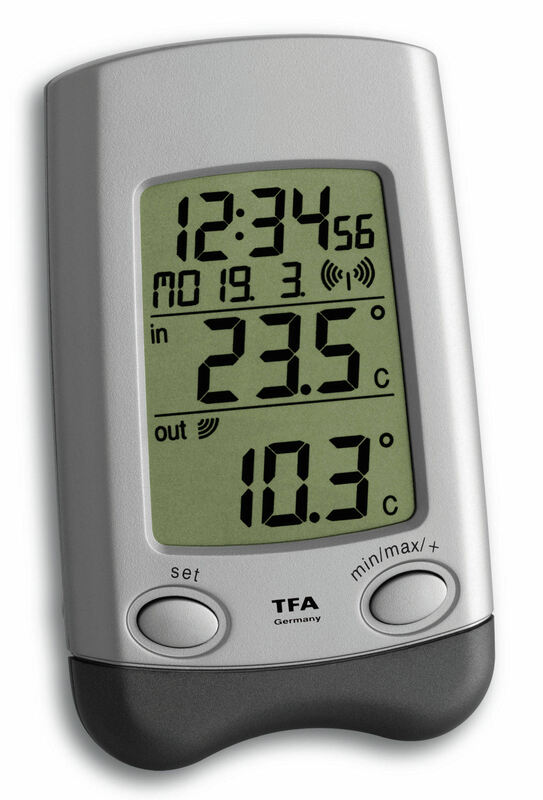 A separate wireless transmitter determines the outdoor temperature at the location; an internal sensor measures the indoor temperature. Controlling the room temperature is an important factor for the creation of a comfortable and healthy living environment and it helps save energy. 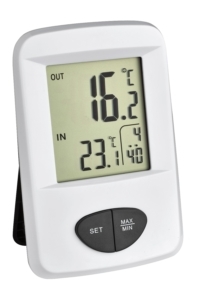 Even one degree of temperature reduction can save up to 6% on heating costs. 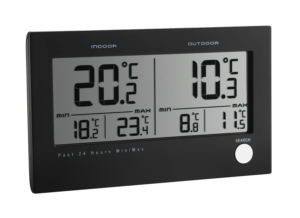 With the outdoor temperature, you get reliable and important information for your home, garden, leisure and work. 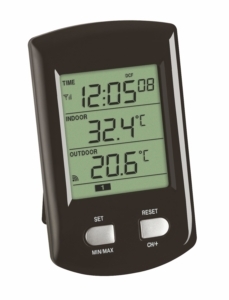 In addition, the device has a memory for the highest and lowest values. 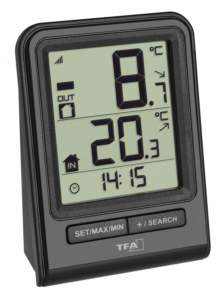 The radio controlled time and date are automatically received via the DCF 77 signal and updated daily.